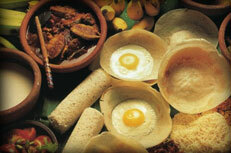 Sri Lanka has long been described as a paradise by travelers and as PEARL OF THE INDIAN OCEAN. Sri Lanka long has been described as a paradise by travellers while also being referred to as the PEARL OF THE INDIAN OCEAN. Hop aboard these Sri Lanka holiday packages and come see this true beauty from your eyes, it is truly a paradise on earth. Seductive beaches and tempting water sports, magnificent landscapes featuring lazy lagoons, fertile wetlands, wondrous forests, imposing mountains, bounteous rivers and waterfalls, an abundance of wildlife - much of it endemic - unique ecosystems, inspiring heritage sites from ancient cities to colonial forts, vibrant culture including fine arts and crafts and grand festivals, and a people of diverse ethnicity and religious persuasion, charming and hospitable. Contemporary tourist attractions such as luxurious Ayurveda spas and broad-based shopping opportunities have evolved, and Sri Lanka has become one of the world's most popular destinations to get married and enjoy a honeymoon. Sri Lanka is tropical with distinct dry and wet seasons where we experience four types of monsoons from May until September the South-west monsoon rain, the Inter-monsoon showers during October and November, North-east monsoon rains from December till February and again Inter-monsoon rain in March and April. For a well combined fabulous sunny beach holiday on the south & southwest coast, you must travel from November to April. If any plans to visit the rejuvenating east coast of Sri Lanka, ideal time would be during March to September. Colombo and the low-lying coastal regions have an average temperature of 27°C. At Kandy (altitude 500m), the average temperature is 20°C, while Nuwara Eliya at 1889m) has a temperate 16°C average. The sea stays at around 27°C all year. Humidity records at 90% at night and 70% during the night. Latitude 5° 55. to 9° 50. north, longitude 79° 42. to 81° 52., 650km north of the equator. Sri Lanka Standard Time is five and a half hours ahead of GMT. (Allowance should be made for summer-time changes in Europe.) The island dimensions are 430km from north to south and 225km from east to west with a coastline of 1340km and a total area of 65525km. Banks are open from 0900 hrs to 1300 hours Monday to Friday. Some city banks close at 1500 hrs, while some are open on Saturday mornings. It's easy to withdraw money across the island at ATMs using international credit cards or debit cards. Most hotels, restaurants and shopping centres accept credit cards. Some establishments may try to add a surcharge, which is illegal. Sri Lanka is a round-the-year destination for the visitors who seek for sun and sea and in various aspects. The best time to visit the island is from November to April where northern monsoon is active in north and north east part of the island. The central highlands are pleasantly cool and relatively dry from January to April. The peak season is from mid December to mid January and March to April during Easter with a mini peak season in July and August when festivals and pageants are held through the country. Cotton clothes are useful at any time of the year but you will need light woollens for the hills and waterproof clothing or an umbrella. Modest dress for women is advisable especially off the beach and when visiting religious sites. Please remember to pack in some comfortable shoes, sandals or trainers and cotton socks; they'll become handy during your stay in Sri Lanka. If you are planning to trek and climb go prepared with suitable gear. Water sports enthusiasts would do well to take their snorkels and diving equipment along. Sri Lanka offers visitors an excellent choice of accommodation facilities to suit all budgets from luxury boutique hotels to low budget accommodations combining wonderful tastes of lifestyle and stunning modern delightful concepts providing precious architectural values such as Geoffrey Bawa inventive designs that made the visitors to live an once in a life time experience. Sinhalese 73.8%, Sri Lankan Moors 7.2%, Indian Tamil 4.6%, Sri Lankan Tamil 3.9%, other 0.5%, unspecified 10% (2001 census). Buddhist 69.1%, Muslim 7.6%, Hindu 7.1%, Christian 6.2%, unspecified 10% (2001 census). Sri Lanka has two official languages . Sinhala and Tamil - with English as a link language. Most people have some knowledge of English, and signboards are often in English. Sri Lanka's ancient civilization endows the island with a legacy of colourful festivals relating to the Buddhist, Hindu, Muslim and Christian religions. Furthermore, these festivals are commemorated with the flair of a people with a genius for pageantry and ritual. Sri Lanka's most tourist-oriented festival is the Kandy Esala Perahera, held in Kandy over 10 days in late July to early August and climaxing on Esala Poya. Perahera means "procession" and that's exactly what occurs nightly - a magical passing-by of drummers, dancers, whip-crackers, acrobats and robed elephants. The cultivation of many types of rice, spices, vegetables and fruit, coupled with past foreign influences, ensures that Sri Lanka enjoys a varied and select cuisine. As a staple, rice is consumed with an assortment of colourful curries (eggplant, potato, green banana, chicken, fish) that range in potency from delicately-spiced to near-dynamite. Other Sri Lankan staples include hoppers (a pancake-like snack), string hoppers (steamed rice noodles) and pittu (a mixture of flour and coconut). Sri Lanka has a wonderful array of snacks, known as short eats, named cutlets, patties, malu pang (fish bun), andkimbula bunis (crocodile-shaped bun!) that are excellent for trips. Delectable fruit includes the popular mango, pineapple, banana and papaya, but also many lesser-known but distinctive examples such as sapodilla, mangosteen, rambuttan, wood apple, custard apple and beli. "Elephants roam freely, water buffaloes idle in paddy fields and monkeys swing from trees. And then there's the pristine coastline. The miles of sugary white sand flanked by bamboo groves that were off-limits to most visitors until recently..."
" Very rich in tourism resources in Sri Lanka itself, somewhat smaller than the land of Hokkaido, facing the Indian Ocean beaches and 2,000m mountains, jungle and wildlife habitat for elephants and leopards,….."
"…the first world traveller Marco Polo's description of Sri Lanka as the "Jade Pendant in the Indian Ocean" the commentators say Sri Lanka is exactly what it is and Sri Lanka has got basically everything for a tourist…." "……. among the top 10 most affordable destinations in the world where Europeans can go a long way with their Euros for a memorable holiday, according to the German-language Yahoo! Travel Magazine……."